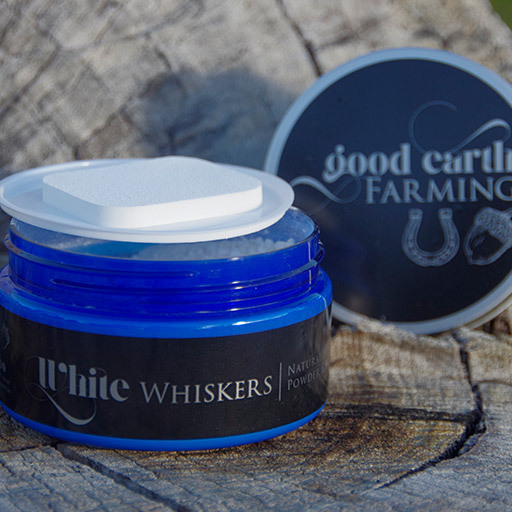 WHITE WHISKERS is a mineral cosmetic product for horses with white socks and blazes. Revitalises appearance of White socks and blazes. Made in WA by two sisters.